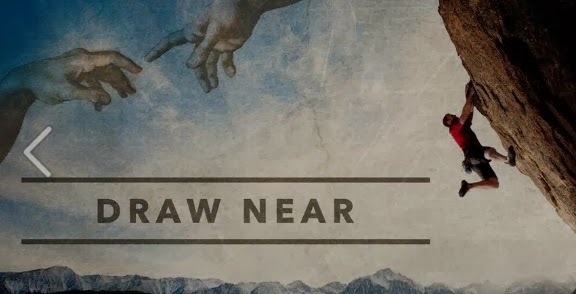 Kicked off the our new teaching series - Draw Near at MKCC on Sunday - Trust in his timing. Click here if you cant see the video. Draw Near - Trust in His Timing from MKCCpreaching on Vimeo. None of us know what the future holds but we know that our God holds the future in his hands. Before Jesus we are caught in a sort of religious groundhog day. Sin – scared – sacrifice – survive - repeat. Now it is no longer us working to appease an angry God but God that is working in our lives. There is no more sad sight in the world as a man or a woman who have found the greatest treasure in the world – Jesus and yet don’t value it above everything else. I'm a pastor, I help to lead a great church but its not the greatest treasure – Jesus is! The mystery of time is controlled by the plans of an eternal God. One of the problems with reading God’s word is that if we are not careful we don’t grasp the depth of time. In a few verses we can jump from promise to fulfilment but what took us a few seconds to read to days, weeks, months, years even decades to happen. One of the problems of this type of faith is that it never deals with doubts, even suggests that doubts are wrong. The unknown creates doubts. Faith is not the absence of doubt. It is trusting God despite those doubts! Recognise that God is in control, even when it seems He has forgotten you.